A couple of months ago, I blogged that my spatial reasoning skills were unimpressive at best. I have since come to believe that spatial reasoning is not a box to check, it’s more of a multi-dimensional skill varying over a spectrum of manifestations. For instance, I can stack a dishwasher like nobody’s business. Or squeeze out multiple projects from one cut of fabric. 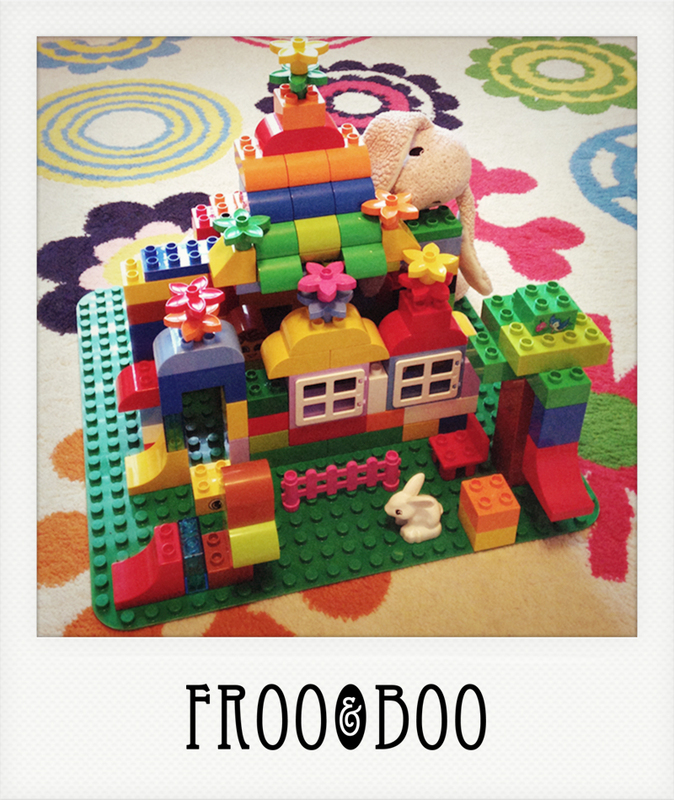 I was worried that I wouldn’t be able to build amazing LEGOs with Froo & Boo, but it turns out to be one of our favourite toys to play with altogether as a family. Until one of us steps on a brick and throws Froo into a wild frenzy of tears or me holding back a slew of potty-mouth words (picture Hugh Grant late for a wedding–“Oh, eff! Eff! Effity eff!” ). The hubs gets thrown off-balance, which is not good when you’re built like a tree. Boo, however, is completely unaffected and continues to run around, laughing like crazy. His feet are thick like a Hobbit’s. 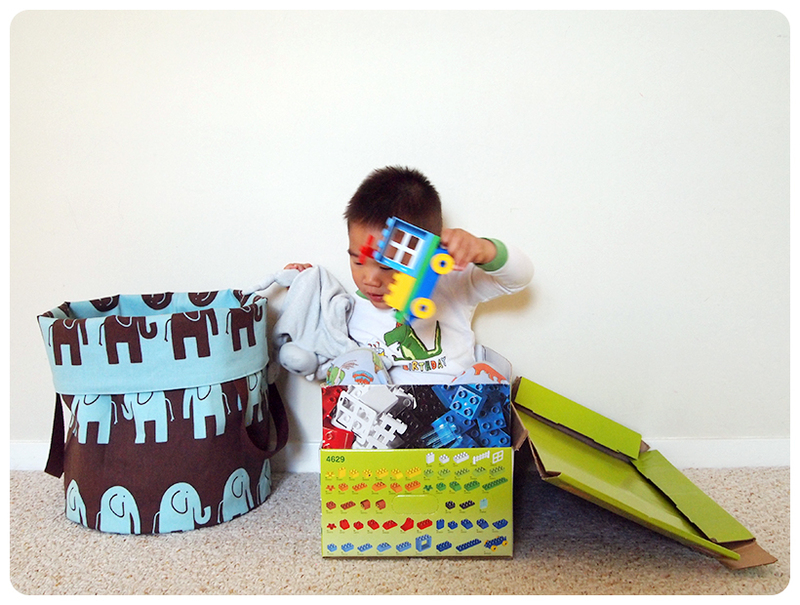 Anyhoo, I wanted to make a new container for all of our LEGO Duplo bricks. 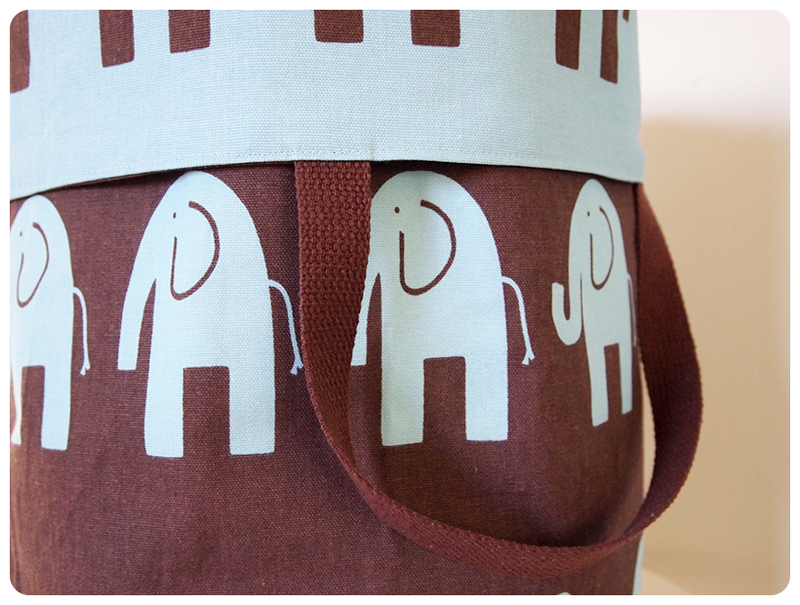 Something easy to tote around, yet big enough to stash all of the pieces. 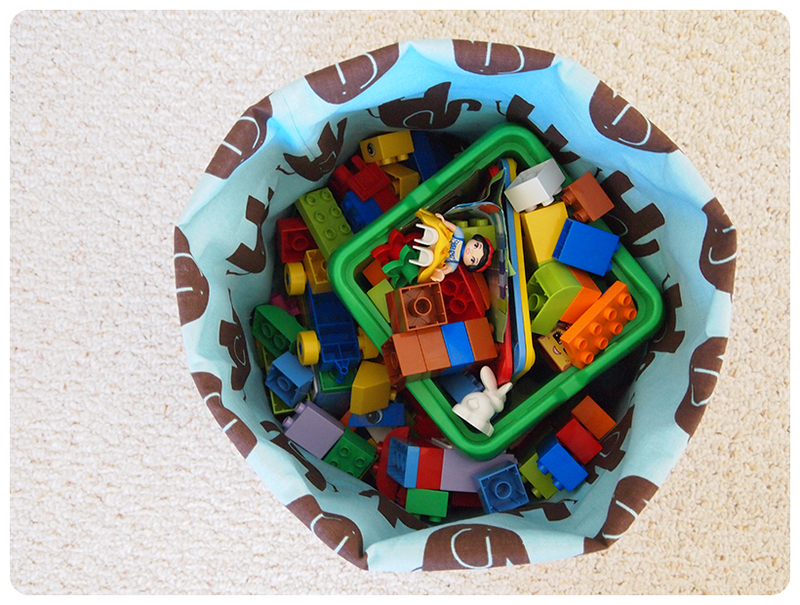 After making a couple of small round-bottom fabric buckets using this awesome FITF tutorial, I thought the large version would be perfect for the LEGOs. 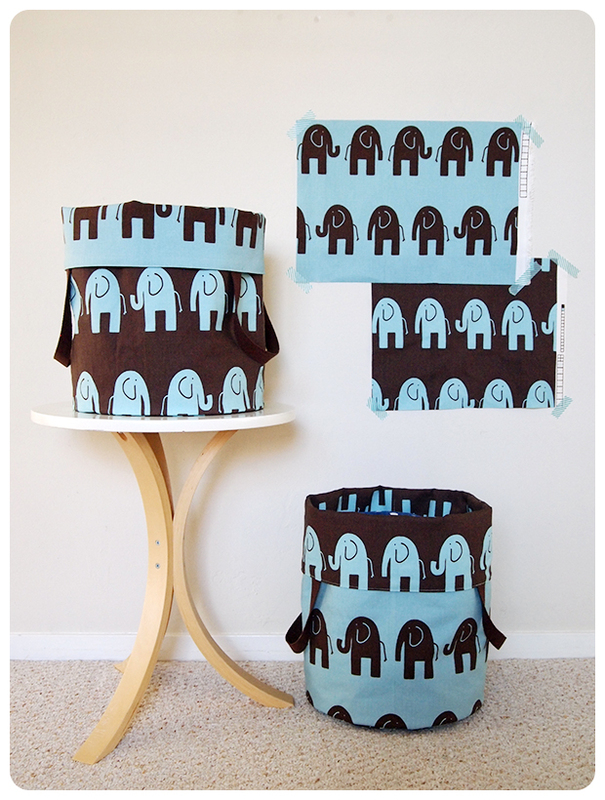 I had 1 yard each of the coordinating elephant prints on home decor weight canvas. 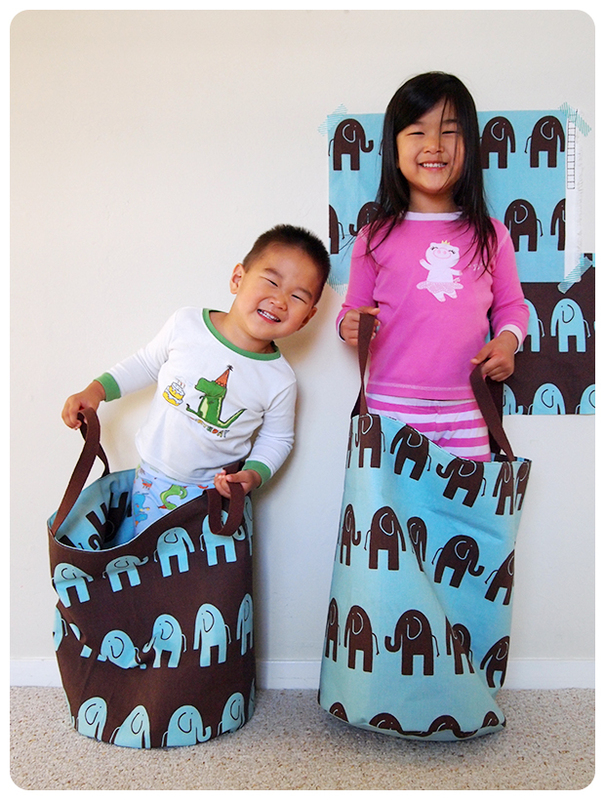 I changed the measurements of the pattern to make 2 buckets as large as possible, with minimal waste. I ended up with a 13″ diameter circle and 2 rectangles: one 18×40″ and one 20×40″. Even after squaring up my fabric, I had a 38″ yard (yay fabric.com! ), so one bucket is 2″ taller. 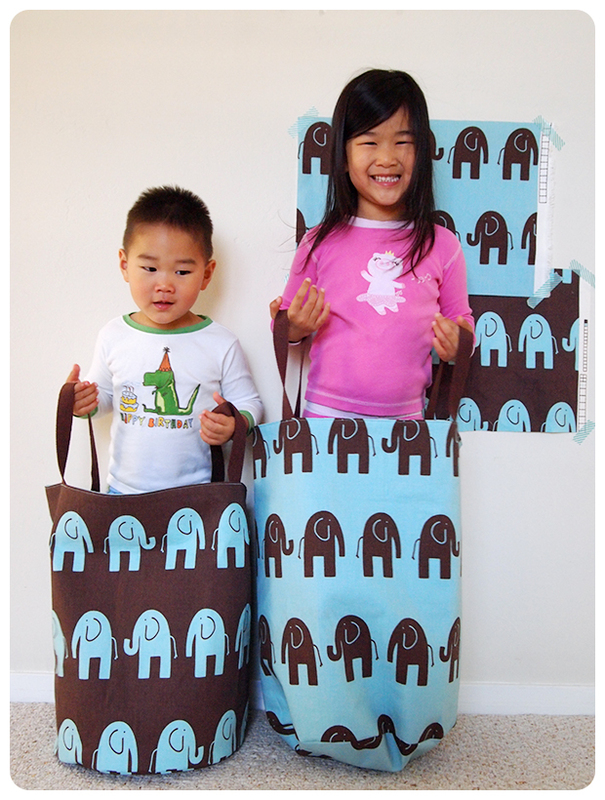 I could have made them both 19″ tall, but that would involve elephants with severed heads. The swatches on the wall are what’s left over. Score another point for me on the spatial reasoning spectrum! Even though the canvas is relatively heavy, I backed the outside fabric with a medium-weight fusible interfacing to give it more structure. Given the larger size, I could have used a heavier interfacing or fused interfacing to the lining as well. The buckets are a little squishy when empty. 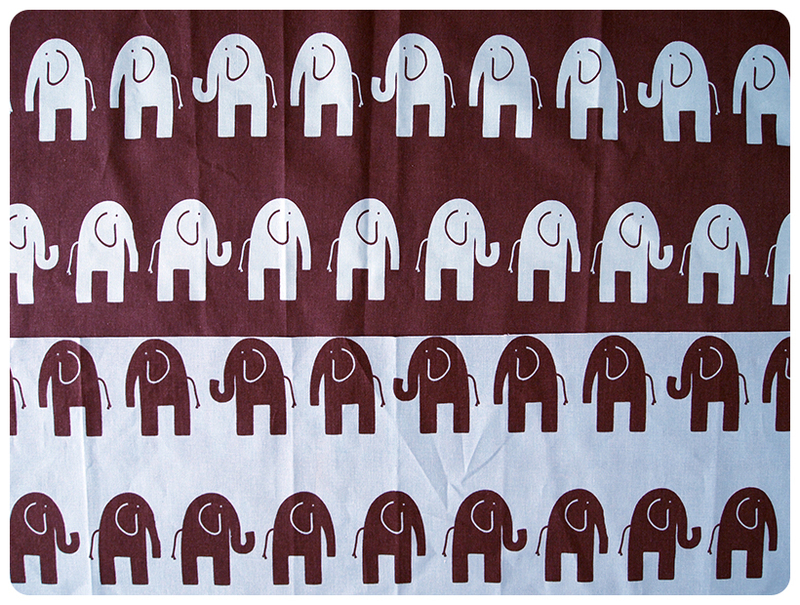 The elephants on the lining fabric are upside-down, so when folded over, they are right-side up. The current LEGO box is falling apart because Boo decided it’s more fun to sit in it. After enlarging the buckets, I made one modification: a pair of handles for easy carrying. One thing I haven’t quite figured out is how we are going to keep the LEGOs inside the bucket. Or how I am going to motivate the kids to clean up after themselves. I guess I haven’t really solved my original problem of LEGOs on the floor.